Merry Christmas! 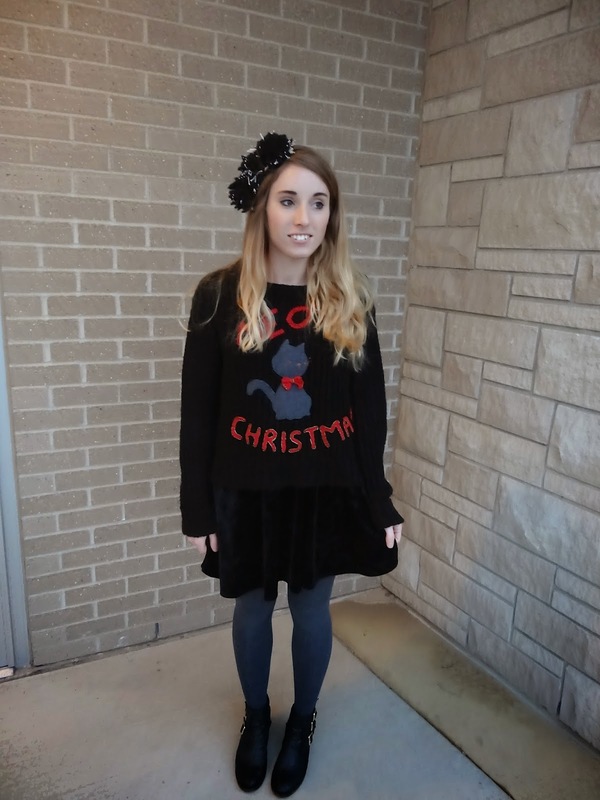 This is the outfit I wore for Christmas Eve festivities this year. Every Christmas Eve I go to my Grandma's house and this year we decided the dress code would be "ugly Christmas sweaters." I decorated this sweater myself. All of the details are made from felt and t-shirt paint. It's a really easy way to decorate a shirt. 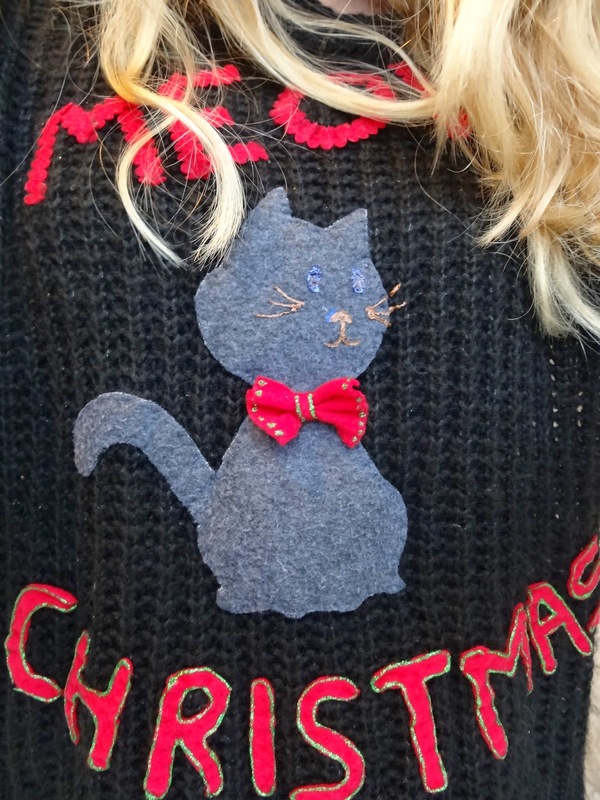 If you can't read what it says, it says "Meowy Christmas." Also, I picked up this velvet skirt the last time I was at Forever 21. It seemed like a good staple skirt to have in my wardrobe. They come in several colors. My headband came from Anastasia Chatzka. She is the designer that I intern for. I saw it in her shop and though it would be perfect for Christmas.